April’s Collector Series Top Pick belongs to an up-and-coming boutique California producer, Fore Family Vineyards. 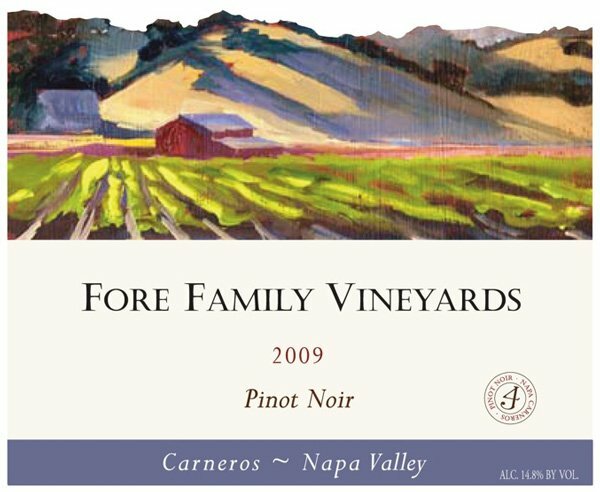 The 2009 Fore Family Vineyard Napa Carneros Pinot Noir is a mere 208-case production and a true family affair. I am tough on Pinots and rather particular about the ones I drink. With that said, the graceful, mouth-filling 2009 Fore Family Vineyards Carneros Napa Pinot Noir captures the essence of what draws people to Pinot Noir – elegance, complexity, and flavor. For this reason, Fore Family Vineyards’ 2009 Pinot Napa Carneros shines and earns this month’s Top Pick. Enjoy!